Ninety-one (91%) of producers surveyed said development of domestic and international/export markets for Colorado millet was very or somewhat beneficial; 92% said research into new end-use products for millet was very or somewhat beneficial; 88% said research into millet varieties, production, disease/drought and lodging/shattering tolerance, and suitability for direct harvest was very or somewhat beneficial; 88% said research into millet quality, making it more appealing to domestic and international/export customers was very or somewhat beneficial; 80% said education and communications defending and supporting millet producers was very or somewhat beneficial; and 75% said representation of millet producers at the state and federal levels to educate policymakers was very or somewhat beneficial. Seventy-one (71%) of producers surveyed were very likely or would tend to vote for a millet marketing order with a refundable assessment on millet grain for marketing, research and education programs. Seventy-six would support an assessment ranging from a low of 4 cents/hundredweight to a high of 8 cents/hundredweight. HPMA President Chris Stum said as producers move toward conservation in crop rotations, millet is vital for enhancing rotation diversity and promoting economic sustainability. "Lack of investment in development of domestic and international/export markets and research into new end-use products and new millet varieties with improved quality and agronomic traits has inhibited expansion of this crop. 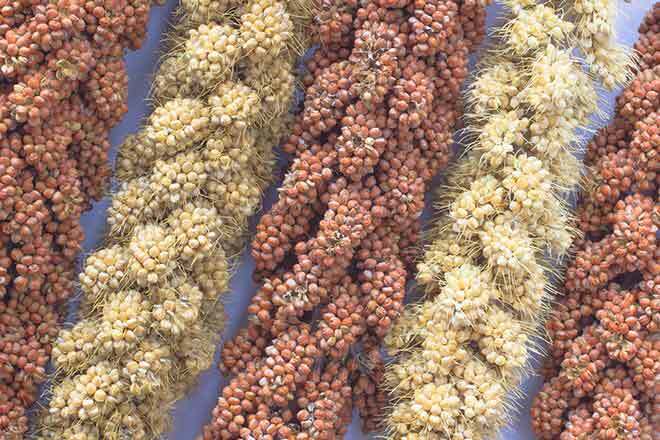 Colorado millet producers need to look out for our own industry since we can't rely on public funding for vital market development and research which can be accomplished through a Colorado millet marketing order."